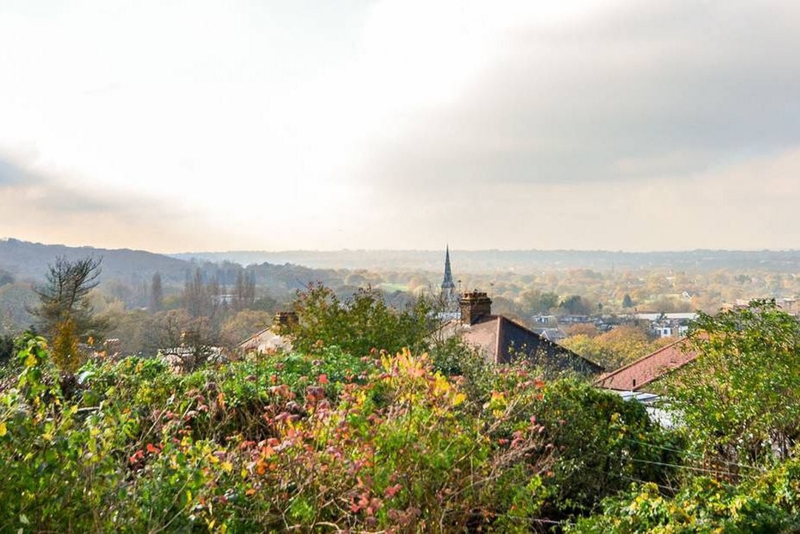 Forest Hill Area Guide - What makes Forest Hill so great? Where do Forest Hill locals go? The finest Italian restaurant I have ever been to, with a varied and fresh menu that caters for everyone from meat eaters to vegans and all in between without seeming to try! I book for anniversaries, birthdays, visits from friends - any excuse to attend the best restaurant I know of. It may not look particularly salubrious, but it is child-friendly by day and romantically candle-lit by night. I cannot recommend it highly enough! This charming cafe sells delicious cakes and fried breakfasts. It's a great spot to visit on a lazy Sunday afternoon or after a jog around Mayow Park! The Shop Revolution Marketplace host lots of unique events like poetry and craft nights, with all the items they sell produced by independent designers and jewellery makers. This picture was taken at a Miss Victoria's Floral Emporium flower arranging workshop. A café serving delicious ice creams and milkshakes with the friendliest staff - they're so lovely and helpful and always make me feel welcome. With a bowling green, play area and cricket pitches, Mayow Park is a great place to chill out at the weekend. This delightful restaurant and bar is cosy inside during the winter, yet there's an amazing garden for the summer months. A monthly supper club inside someone's home in Ladywell, where local people come to meet and taste some good home-cooked food. Every month there's a different theme. Lovely food, wine and cocktails in a gorgeous French bistro housed in a converted pub in the heart of Nunhead. Lovely little craft beer micro pub with great music, staff and beer! Share your favourite place to go to in Forest Hill. "In 1602 Elizabeth I picnicked with Sir Richard Bulkeley by an oak tree at the summit of a tree in Lewisham. It became known as the Oak of Honor, which is where the name Honor Oak derives from." Forest Hill's elevation ensures outstanding views towards the centre of the capital! The independent shops and cafes and charming period properties make East Dulwich the perfect place to set up home. Loads of indie cafes and shops, great pubs, and a fab little museum and park! Quite, leafy, good traffic connection and not too expensive. What do you think of Forest Hill? Forest Hill is a district of south London, located in the London Borough of Lewisham. It is situated between Dulwich and Sydenham. The area has enjoyed extensive investment since plans to extend the East London Line to Forest Hill were unveiled in 2004. Like many London suburbs, Forest Hill was only sparsely populated until the mid-19th century. The name Forest Hill came from 'the forest with a big hill', which was coined by a developer in the 1790s, and referred to the remaining area of Forest on Sydenham Hill which was originally part of the Great North Wood. Forest Hill has a large residential population and the area is becoming increasingly desirable as a peaceful, leafy suburb with good transport links into the centre of town. What are your favourite things about Forest Hill? Find out how much your flat or house is worth om Forest Hill. Feedback about living in Forest Hill has been submitted directly by the public and may not neccessarily reflect the views of Foxtons. The description of Forest Hill was modified from Wikipedia and is available under the Creative Commons licence. Land Registry data is Crown copyright. All the views and contributions contained within Foxtons Local Life are those of the contributors. All content is assessed before publishing for taste, however free opinion is encouraged. Foxtons accept no payment or sponsorship for content that is posted about Forest Hill.